The iTunes service can be used to stream your music files that are stored on the network drive to other computers on the same home network that have iTunes installed. The music will automatically appear in the iTunes player under “SHARED” sources. The iTunes music server supports following file formats: *.mp3, *.m4a, *.m4p, *.ogg, *.flac. Login to your network drive as administrator. 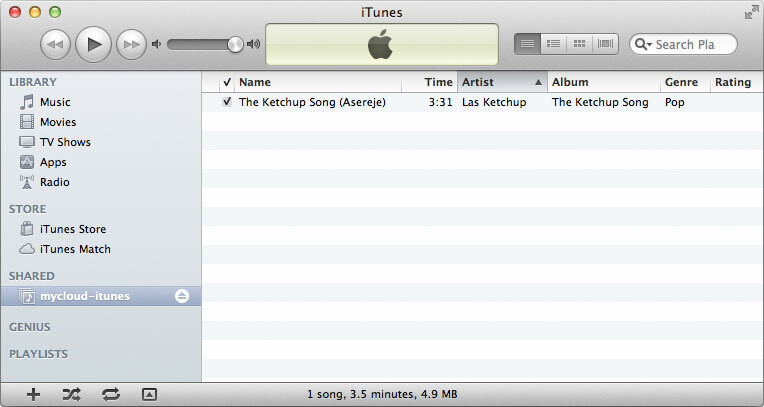 Go to Preferences > iTunes. Make sure the iTunes service is up and running. Click Browse and select the folder where your music files are stored. Click Apply to save and apply the new settings. Store the music files that you would like to access from iTunes on the network drive. Make sure to store the files in the directory that has been set as your “Music Folder” for the iTunes service. Wait until the music files have been scanned by the iTunes service. 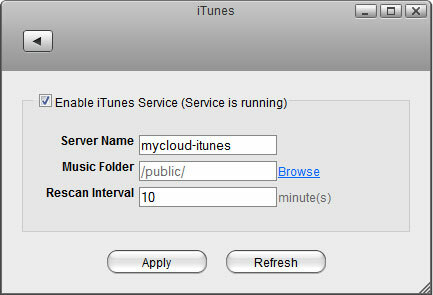 The time it takes depends on the “Rescan Interval” that has been set in the preferences of the iTunes service. Start iTunes, go to the sources under SHARED and select your network drive from the list. The name of the device will be what you have set under “Server Name” in the iTunes service. You can now play back your music files directly in iTunes.